Europa will künftig auf US-Ratings für europäische Wertpapiere verzichten. Für alle Bonitätsnoten sollen EU-weit schärfere Regeln gelten. Das könnte weitreichende Folgen für die europäischen Banken haben. Brüssel. Die EU will in den USA hergestellte Bonitätsnoten für Wertpapiere in Europa nicht mehr zulassen. Alle Ratings müssten von vergleichbarer Qualität sein, und dies sei bei Ratings aus den USA und anderen Drittstaaten nicht garantiert, hieß es in EU-Kommissionskreisen. Humanity’s powers of recovery are remarkable. The Japanese, who have already reconstructed some roads that were ripped apart by the Mar. 11 earthquake, are only the latest to demonstrate this. „What has so often excited wonder [is] the great rapidity with which countries recover from a state of devastation,“ the English philosopher and economist John Stuart Mill wrote in the 19th century. In the spirit of Mill, forecasters today are predicting that the Japanese economy will suffer just one, or at most two, quarters of declining output, followed by a boom as rebuilding kicks into high gear. The rest of the world, they say, will scarcely sense a tremor. „We are not changing our growth forecast for the U.S.,“ says Augustine Faucher, director of macroeconomics at Moody’s Analytics (MCO), an economic consulting firm in West Chester, Pa.
What is behind the decline in living standards? ARE you better off than you were two years ago? Although the economic recovery in the developed world is almost two years old, the average Westerner would probably answer “No”. The authorities have applied shock and awe in the form of fiscal and monetary stimulus. They have prevented the complete collapse of the financial sector—bankers’ pay has certainly held up just fine. The corporate sector is also doing well. Even if banks are excluded, the profits of S&P 500 companies were up by 18.7% last year, says Morgan Stanley. But the benefits of recovery seem to have been distributed almost entirely to the owners of capital rather than workers. In America total real wages have risen by $168 billion since the recovery began, but that has been far outstripped by a $528 billion jump in profits. Dhaval Joshi of BCA Research reckons that this is the first time profits have outperformed wages in absolute terms in 50 years. 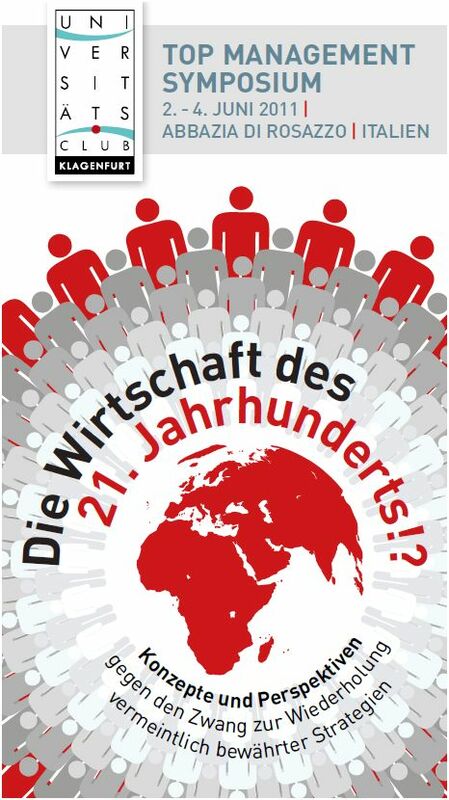 „Die Wirtschaft des 21. Jahrhunderts!. Konzepte und Perspektiven gegen den Zwang der Wiederholung vermeintlich bewährter Strategien. Here’s my solution to our national debt. We have a one-time, 100 percent tax on all wealth (net worth) of all United States residents, with a $10 million per-person exemption. With household wealth at around $60 trillion, that should be plenty to pay off the accumulated debt and shore up Social Security and Medicare for the next century. * The government promises never to do it again. Since we only care about future behavior, a one-time wealth tax should have no impact on people’s incentives to work, and hence no distorting effect on the economy. Griechenlands Finanzen sind desolater als bisher bekannt. Das bleibt den Ratingagenturen nicht verborgen. Standard & Poor’s senkte den Daumen über dem Mittelmeerland. Und auch Portugal wurde herabgestuft. Ob bei der Atomenergie oder in der Libyenfrage: Die Menschheit ist sich nicht einig, wie sie mit großen Risiken umgehen soll. Die turbulenten Weltereignisse beleben das nationale Denken wieder. Carmen M. Reinhart discusses how history teaches that large public and private debt impedes economic growth, a lesson that the United States must heed in the years ahead. Edited transcript, recorded February 18, 2011. © Peterson Institute for International Economics. Steve Weisman: It’s budget season, and Washington is dealing with steps to curb the American overhang of debt. This is Steve Weisman at the Peterson Institute for International Economics and with pleasure I welcome Carmen Reinhart, new senior fellow here at the Institute, for her first Peterson Perspectives interview. Thanks for joining me, Carmen. Carmen Reinhart: Thank you for having me. Steve Weisman: Carmen, there’s a lot of talk in Washington about the dangers of mounting US debt, especially after the financial crisis, but also driven by the commonly understood demographic and spending factors. How would you characterize how precarious the United States’ situation is now? How are global markets perceiving it? BEIJING (Reuters) – Nouriel Roubini, best known for predicting the U.S. housing meltdown, said he expects Japan’s central bank to ease monetary policy further by buying more government debt in the wake of the earthquake. Roubini, one of Wall Street’s most closely followed economists, said the Bank of Japan (BoJ) would have to set aside more money to buy bonds from the government to help pay for Japan’s reconstruction works. The BoJ’s future purchases of government bonds, also known as quantitative easing (QE), are likely to be larger than the amount that was unveiled this week, Roubini said on the sidelines of a conference in Beijing.